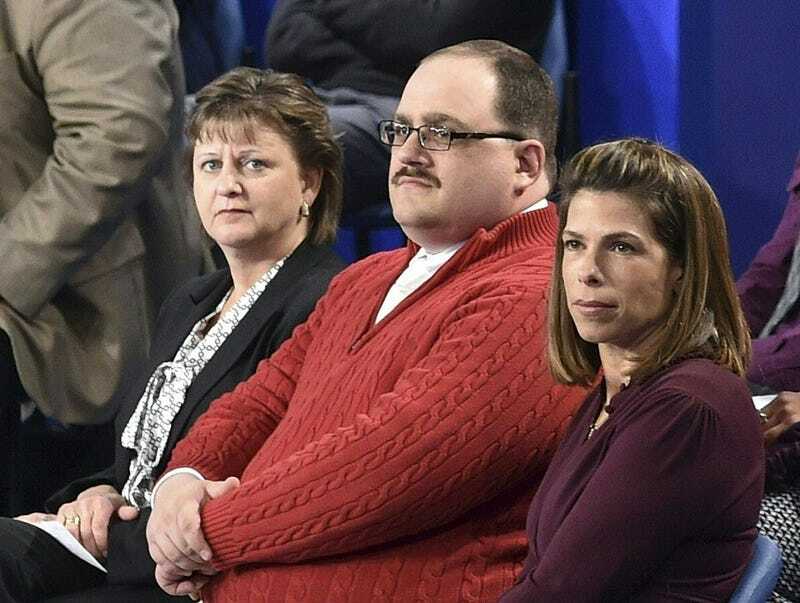 As we near the anniversary of our nation’s undoing, there are several other occasions to mark, including the rise (and subsequent downfall) of the undecided voter—namely, Ken Bone, the face and cable-knit sweater of the uninformed people. The mustachioed Bone became a viral sensation last October because he was just so danged conflicted about choosing between Hillary Clinton and a deluded individual (or possibly a time traveler) who believes he invented words that were first used hundreds of years ago ([insert your “this is why Trump won” jokes here]. For more on Bone’s musings about the decline of civilization, including his shared consternation over the president’s inability to just say “Nazis bad,” check out CNN’s interview.